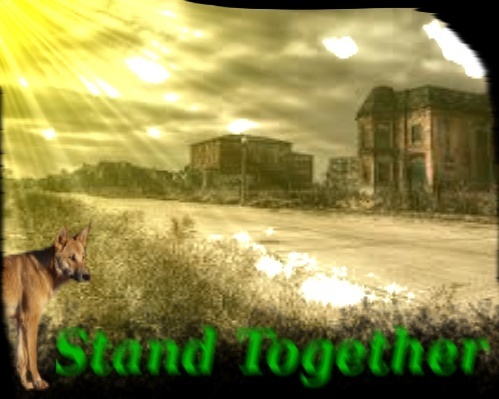 Stand Together is made up of canines. Wild dogs and coyotes roam this space and clash when they meet. What is left of humanity is only the rubble they left behind, all abandoned. Humans were wiped out about 500 years ago, when the sickness came and wiped them out. Canines and other animals were imune. Houses lay abandoned, the wild animals of Australia moveing in.